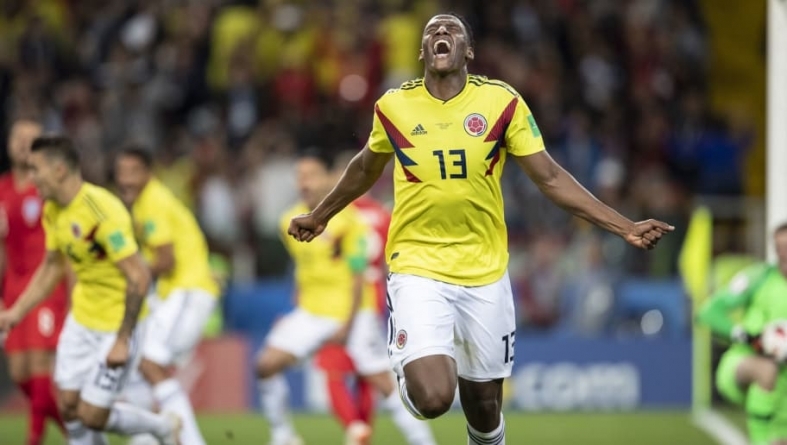 Premiership side, Manchester United may not be pursuing the signing of Colombia’s Yerry Mina will sincerity. According to Caught offside publication, the Premiership side may be using Yerry Mina as a decoy to secure the sensational signing of Barcelona winger Ousmane Dembele in the next few days. Quoting other sources from UK publication, Metro Sport, the report have it that the Colombian defender, Yerry Mina is in the final stages of agreeing personal terms on a move to Old Trafford but there is some suggestion on social media that this could simply be a rouse to get to Dembele. It is no secret that the French youngster has struggled during his first season at The Camp Nou after joining the club last year from Borussia Dortmund and several high profile clubs have been linked with him this summer as a result. The 21-year-old spent the summer with the French national team which won the World Cup after being included in manager Didier Deschamps final squad despite only appearing 17 times for Barca in their last campaign. The Daily Mirror reports that The Tottenham centre-back is still keen to push through a move to Old Trafford, but with Barcelona representatives set to meet United’s, the question must be raised as to what the club’s true motives in Spain might be. Mina and Alderweireld are both fine defenders but the latter has more experience at the highest level and indeed in The Premier League, meaning he would perhaps slot into Jose Mourinho’s plans more seamlessly than the Colombian. 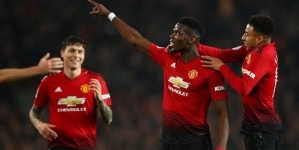 At this stage, its still appears likely that the 23-year-old Colombian is the reason for United’s presence in Spain, however, if Dembele is being considered, it would be a source of massive excitement for supporters. The former Dortmund youngster is a star in the making and with his electrifying pace and superb finishing ability would be a welcome addition to the Man United squad for the upcoming season and certainly add new attacking depth to the squad ahead of a huge year for the club.